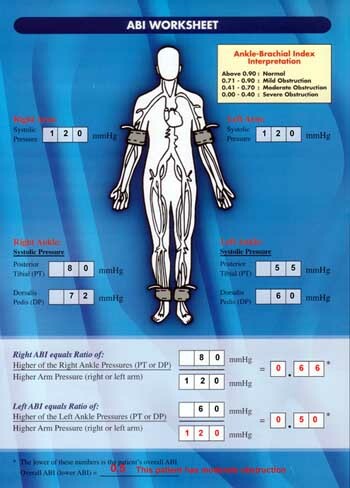 Doppler ultrasound allows bedside assessment of the adequacy of blood flow to the limbs. Here a patient with an ulcer on the foot is being assessed for vascular impairment which would hinder wound healing. It has the advantage of rapid determination of whether leg is at risk for amputation, giving results in 15 minutes or less. Blood vessel patency is eatablish in a totally non-inavsive manner.